Samsung’s 2018 flagship is here, but the phone isn’t indestructible. Don’t leave your Galaxy S9 vulnerable to scrapes, scratches, and cracks. The front of the phone is made of Corning Gorilla Glass 5; however, that doesn’t mean you’re free to do anything with no damage incurred. So that’s why you might want to consider picking up a screen protector. It’ll add a thin layer of protection to keep the display in pristine condition. Then your Galaxy S9 will always look like it’s brand new. 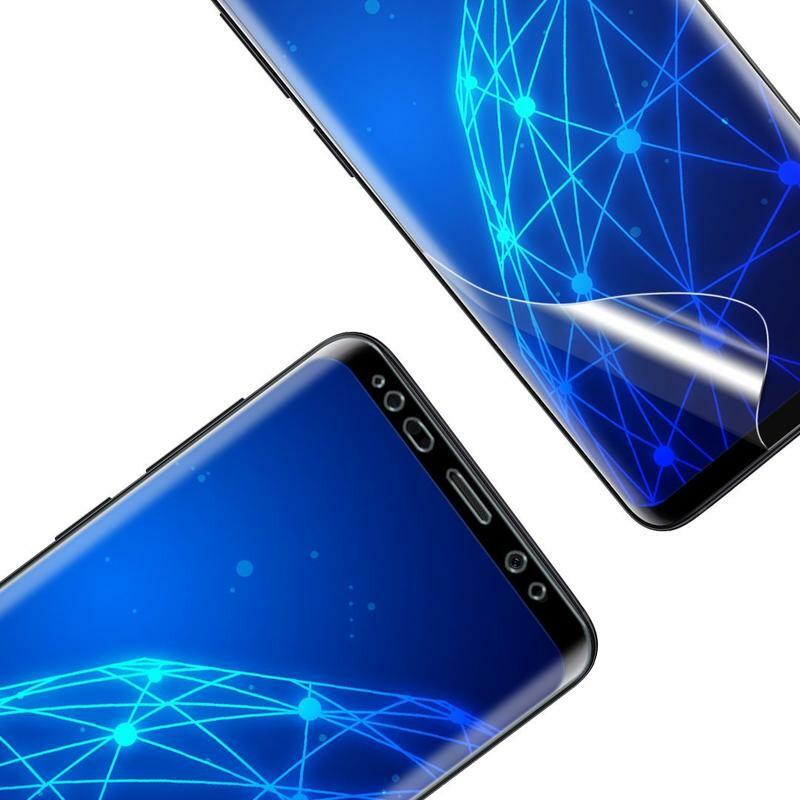 Here are some of the best screen protectors for the Samsung Galaxy S9 and S9+. 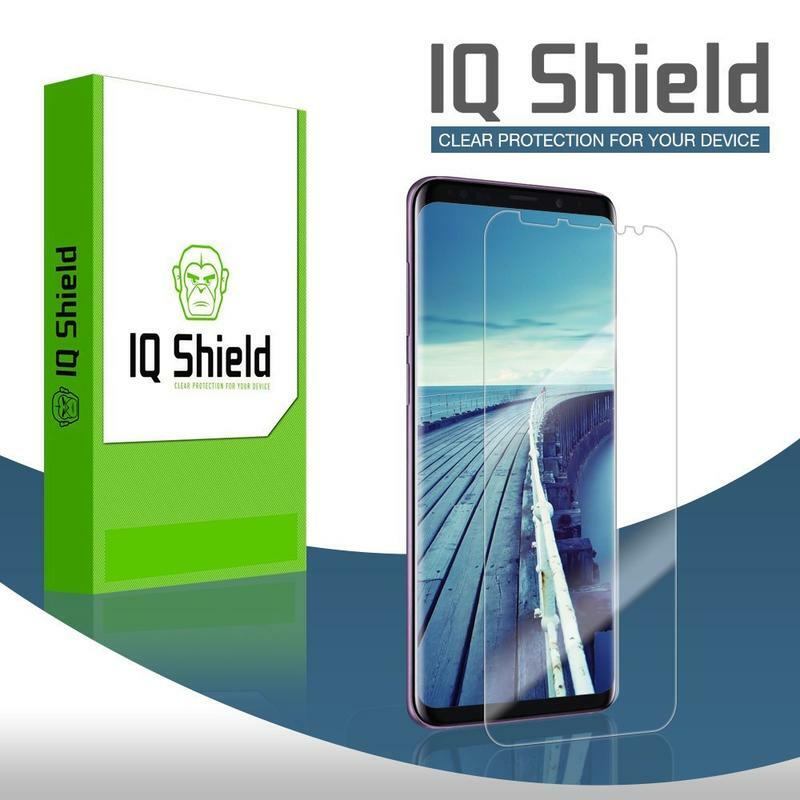 IQ Shield always deserves a spot on any list involving screen protectors. Its products are cheap, but they’re very effective. 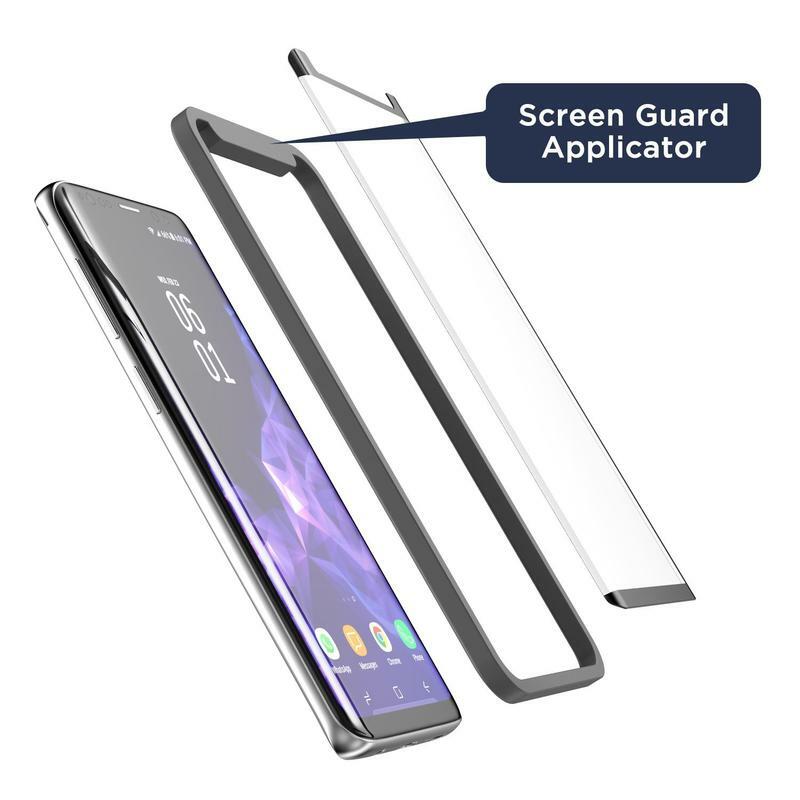 The LIQuidSkin screen protector for the Galaxy S9 applies easily, allows you to continue using a protective case, and includes a lifetime warranty. 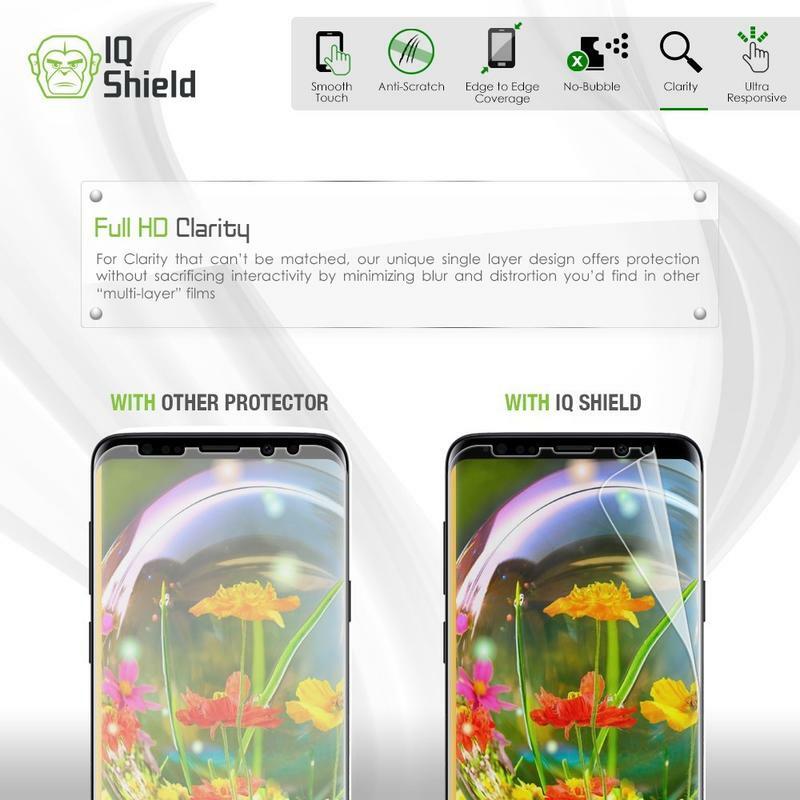 You’re getting IQ Shield’s proprietary technology in a two-pack for less than $10. 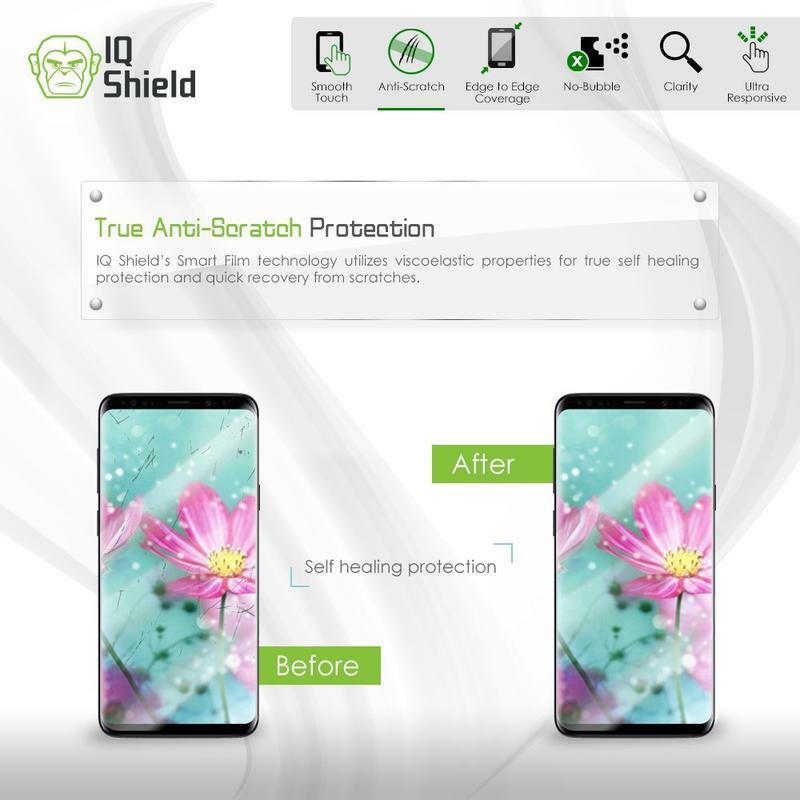 This screen protector features Smart Film, a self-healing technology that lets the unit recover from minor scratches without you having to do anything. Will the LIQuidSkin stop your screen from cracking after a big drop? Probably not, but you’re not buying it for that type of situation. 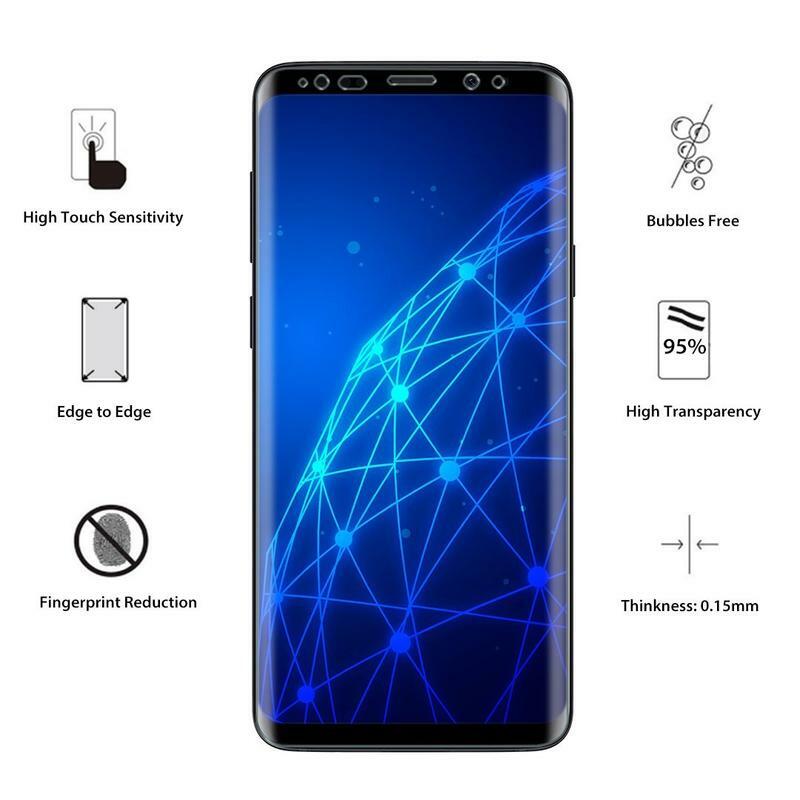 It’s a screen protector made for everyday items that can potentially scuff and scratch your Galaxy 9’s display. 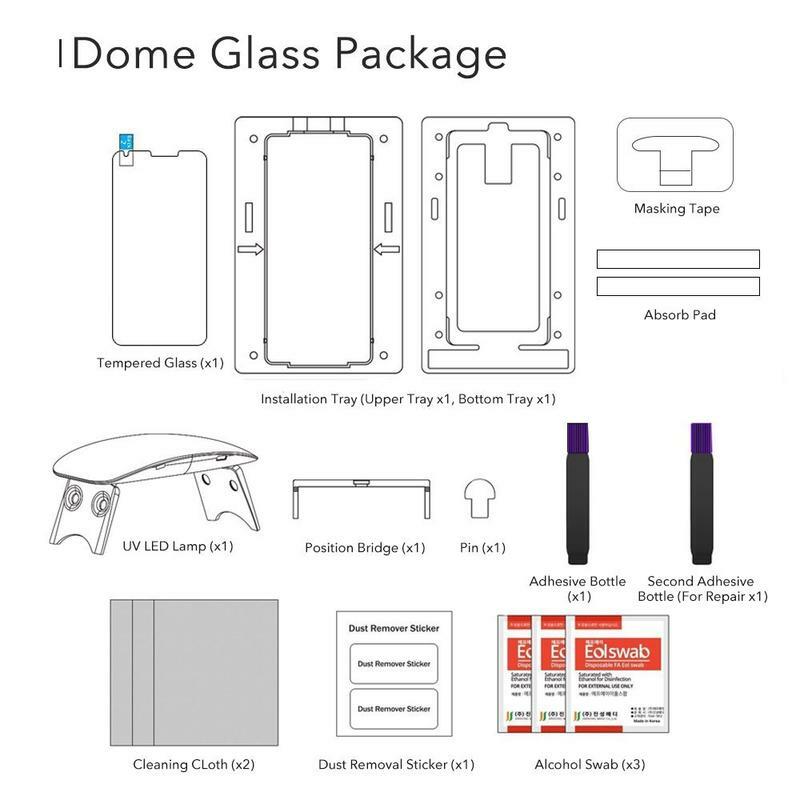 Like most screen protectors, you’re getting wet-install application kit. 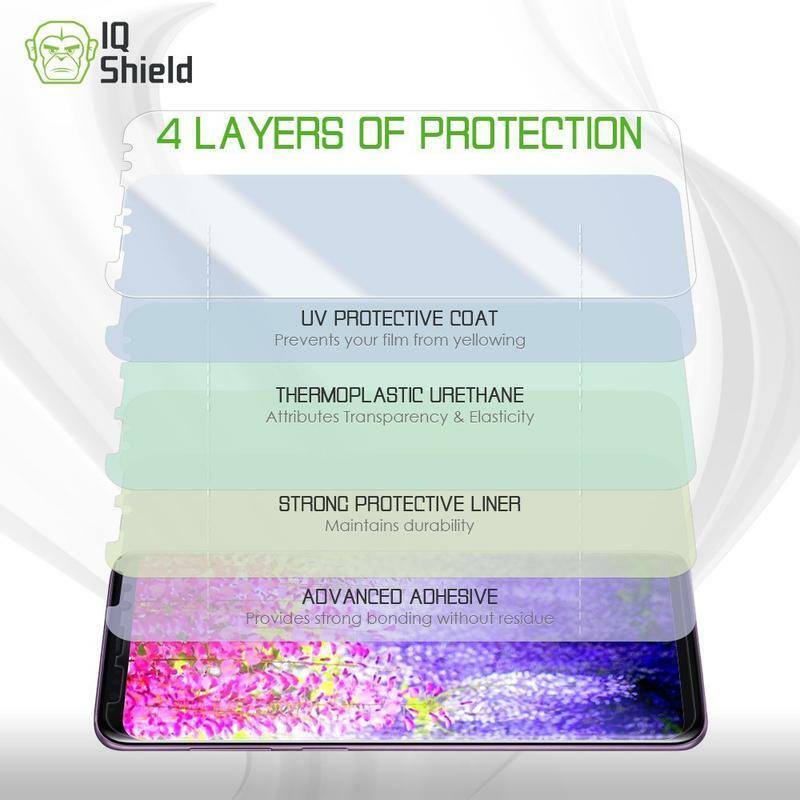 IQ Shield throws in everything you need to get the screen protector on and remove bubbles before the bonding finishes. 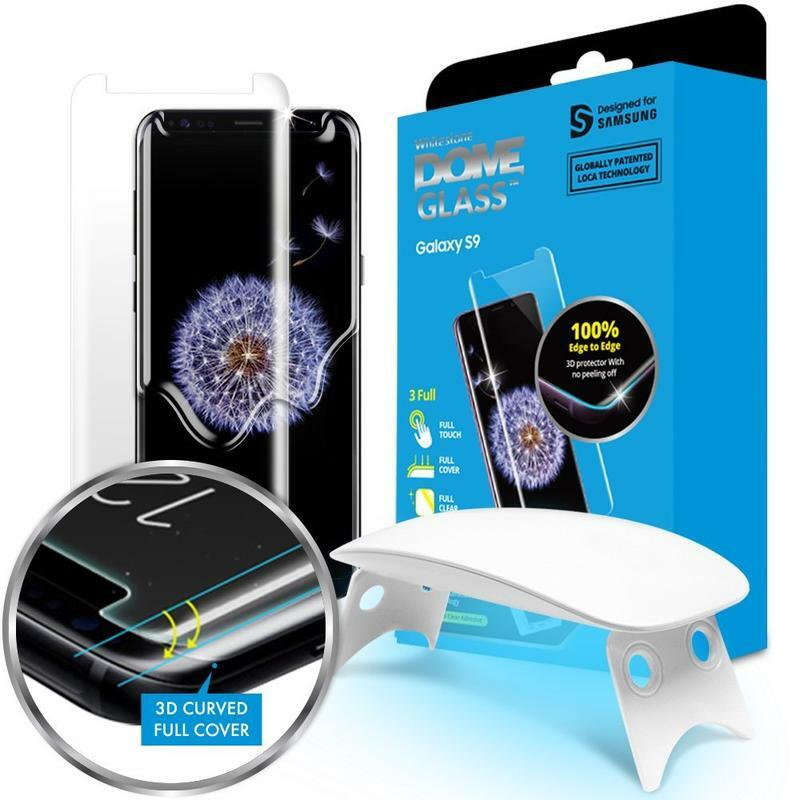 Tempered glass-based screen protectors are often preferred because of their durability. It essentially puts another sturdy layer atop your phone’s display. But these screen protectors can run on the expensive side. 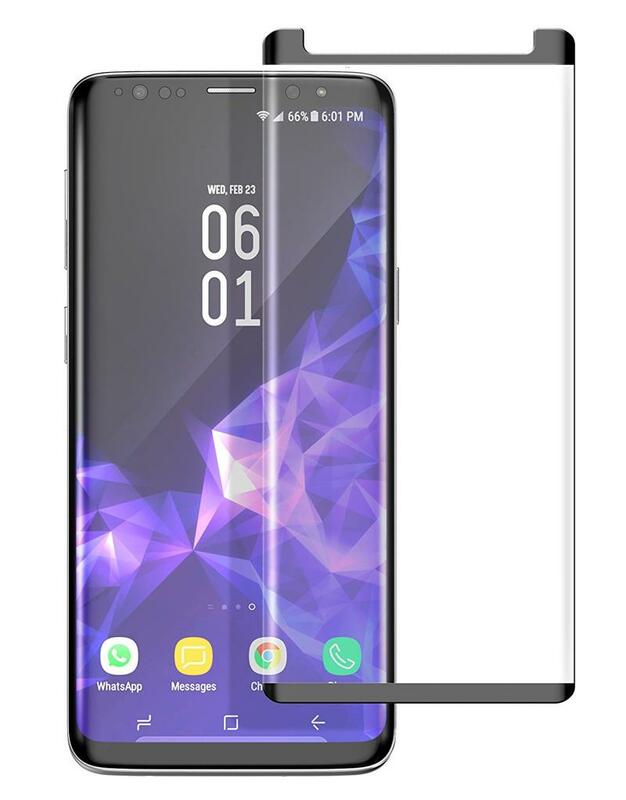 Encased, however, doesn’t charge you an exorbitant amount of money to get a screen protector made of tempered glass for the Galaxy S9. The MagGlass underwent testing that analyzed the structural integrity after a direct impact of 6 feet. Encased’s screen protector maintained a high rating with little-to-no chipping or hairline fractures let alone cracks. It’s also an edge-to-edge screen protector. 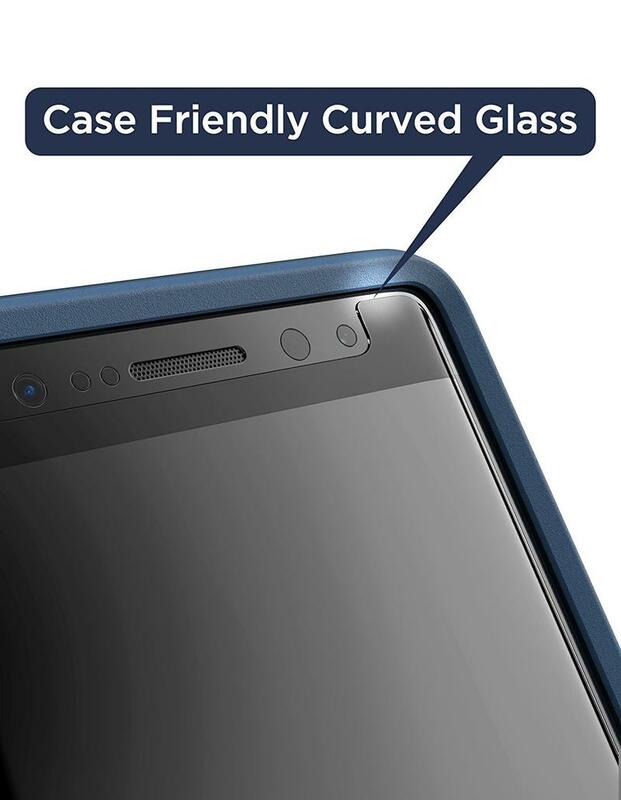 In addition to covering the entire display, the MagGlass extends to the top and bottom bezels as well as the curved sides. Encased covers the essentials, too. You’re getting instant responsiveness, high definition clarity, and scratch resistance. The MagGlass costs under $15 with free shipping, but you’re even receiving a microfiber cloth, a dust remover, an alcohol pad, and a drop-in alignment applicator. If anything goes wrong during the life of the screen protector, take advantage of Encased’s lifetime warranty. You spent big bucks on the Galaxy S9, and thus maybe you’re trying to go cheap on accessories. The Soft Flexible TPU screen protector from LK comes in a 3-pack, meaning you’re paying around $3 per unit. That’s just an incredible value. When you feel that one screen protector ran its course and could use a replacement, grab another one from the box and start anew. 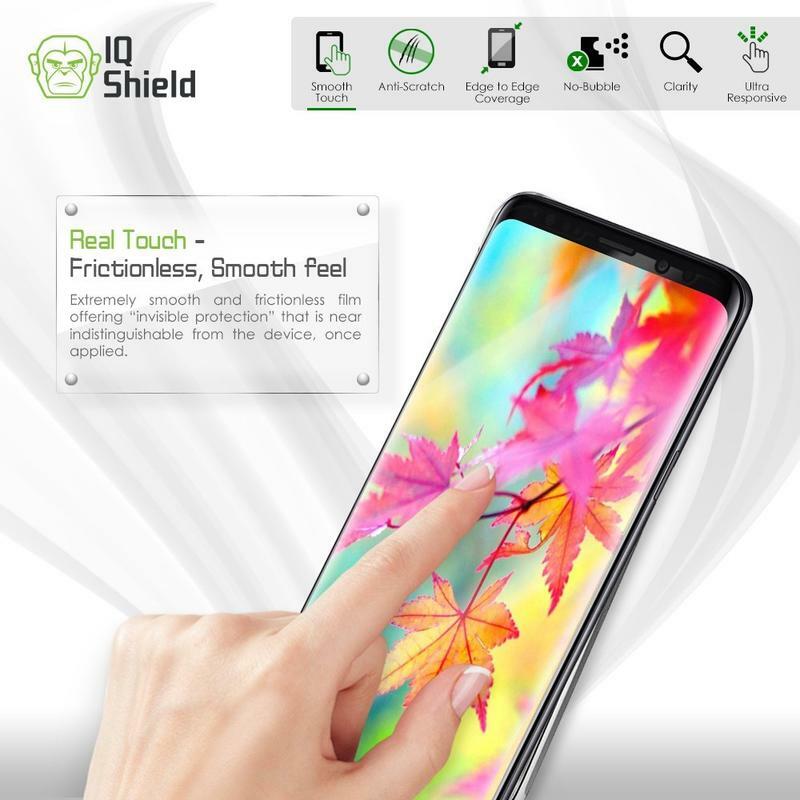 The technology here includes a case-friendly design, full transparency, and high touch sensitivity. All of that is useful in addition to the expected scratch protection. 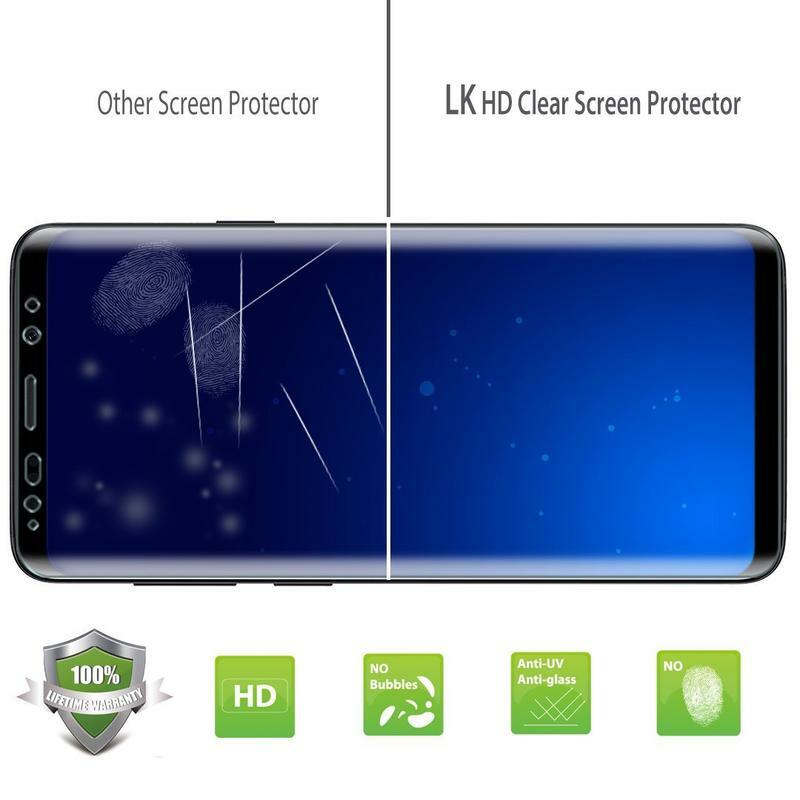 LK also bundles this screen protector with a lifetime warranty. 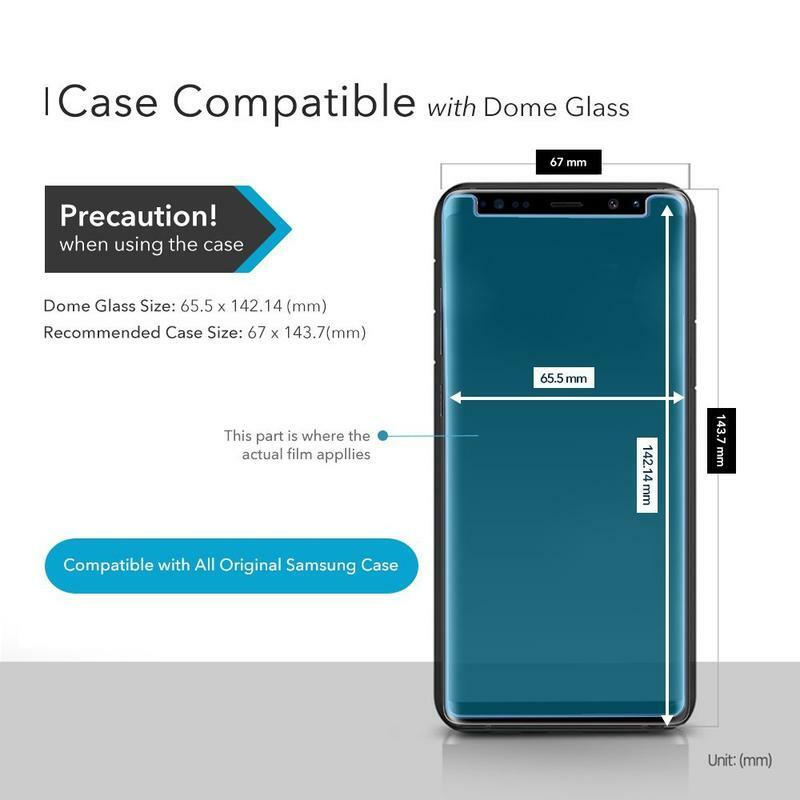 WhiteStone’s Dome Glass is the screen protector you need if you’re clumsy or overprotective. The screen protector doesn’t skimp in any area, and that’s why the price is almost $50 depending on where you shop. 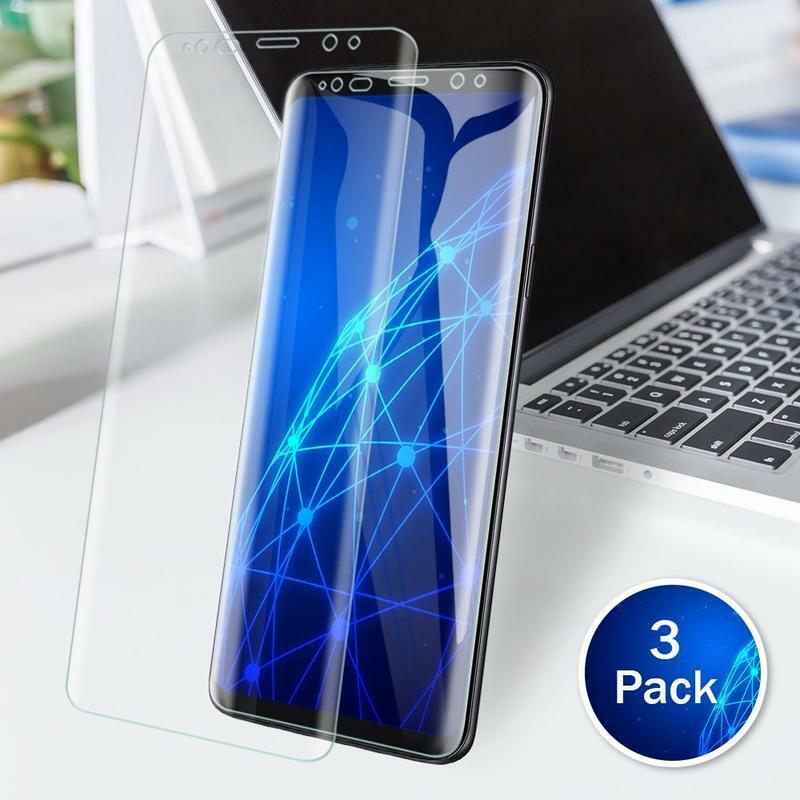 Its tempered glass-based and curved construction mean you’re getting that true, solid layer to shield the Galaxy S9 from anything and everything top to bottom. 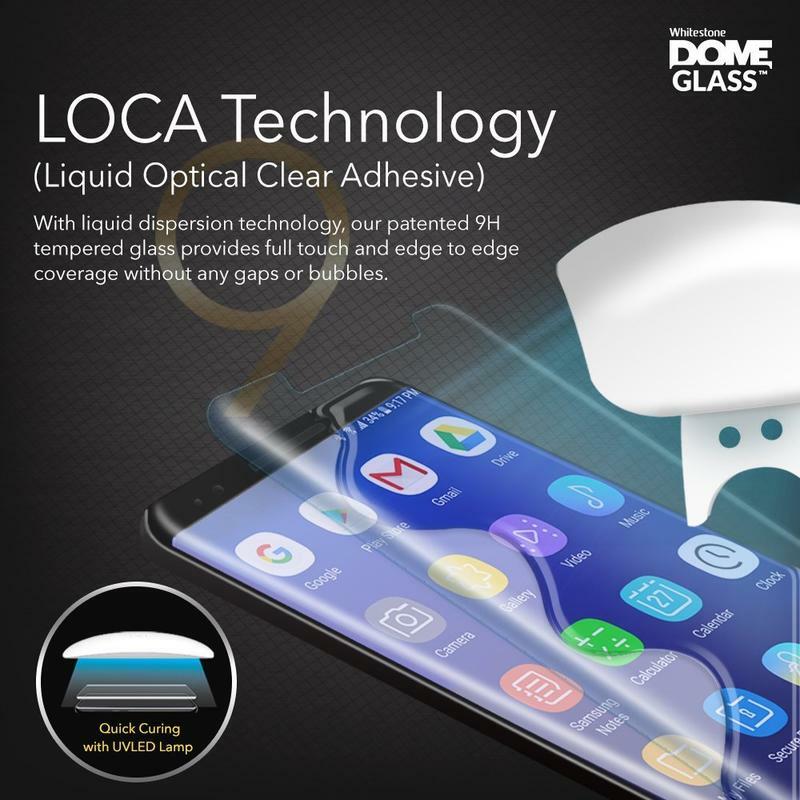 The liquid glass allows the screen protector to host full coverage, and it hardens after being installed to fill existing cracks and imperfections the base layer may already have. From there, it’s like your Galaxy S9 is fresh out of the box again. 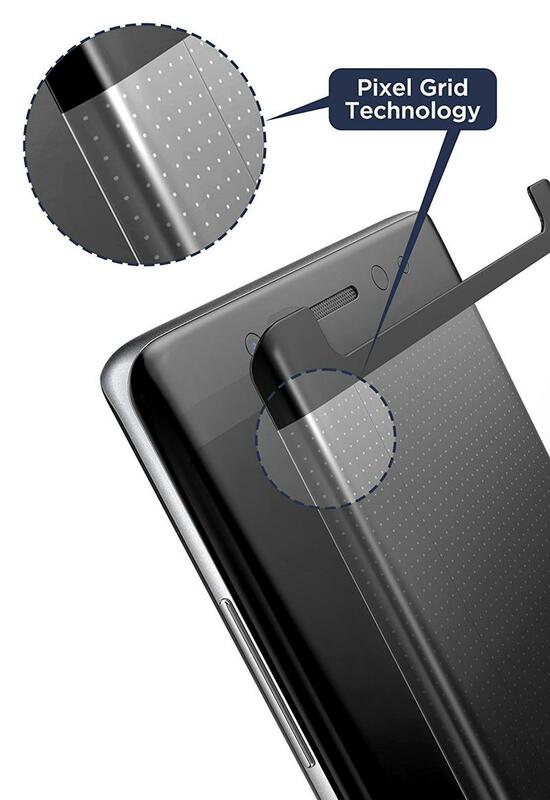 This screen protector is also certified by Samsung. 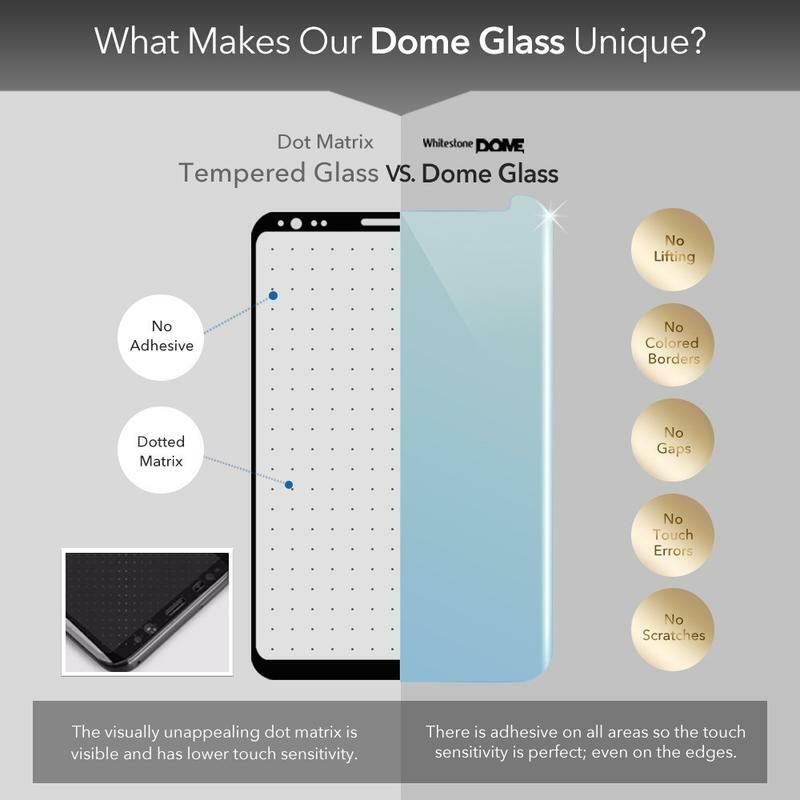 Not many brands enroll in the program that identifies high-quality third-party accessories, but WhiteStone went the distance to ensure everyone knows the effort that went into making the Dome Glass. 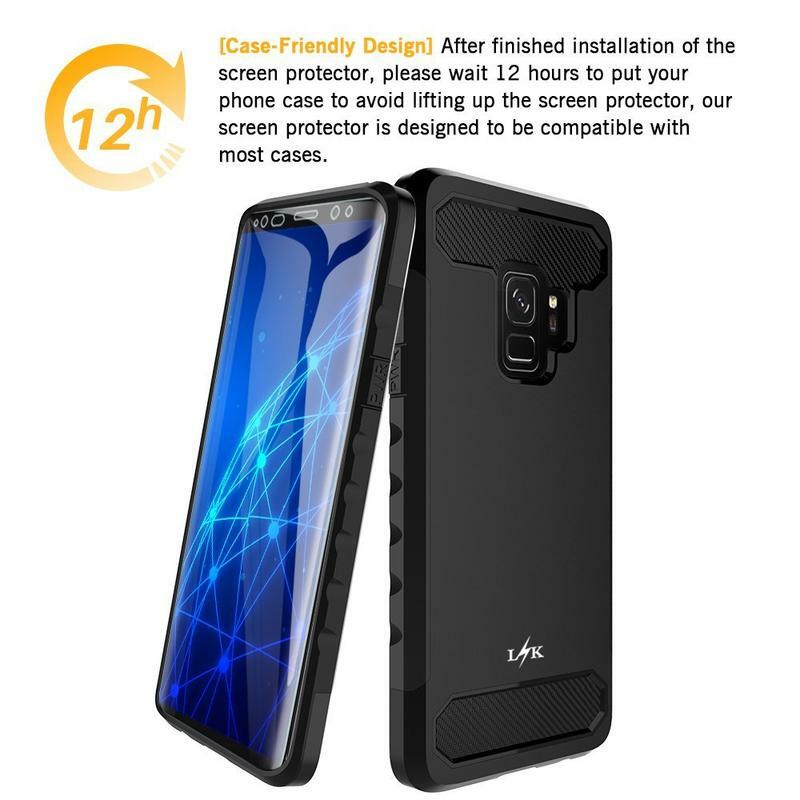 WhiteStone even threw in an install frame and UV curing light to have the screen protector install simply, securely, and cleanly. We recommend looking past the price tag. 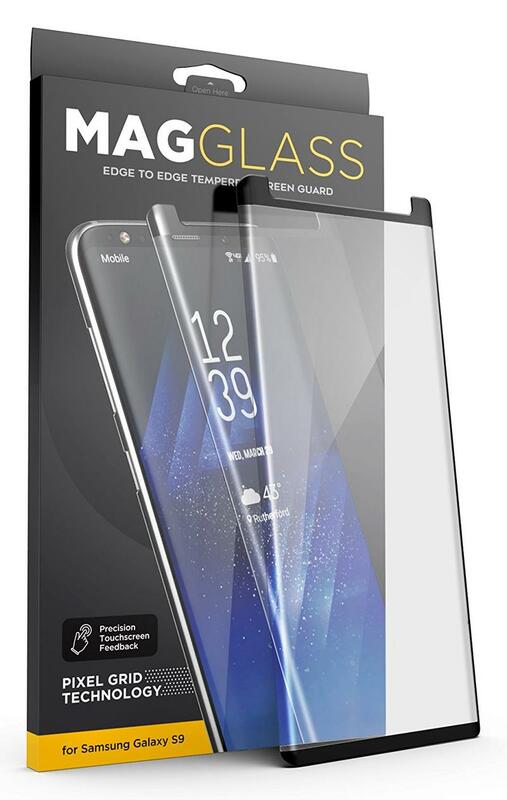 It’s high, but you’re getting a ton of stuff few other screen protectors can provide.